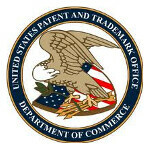 Samsung has filed three new names with the USPTO. Because all three monikers are for the "Galaxy" brand, each are probably titles that we could see one day on a box containing a new Samsung Android flavored phone. Of course, there is the chance that Samsung might decide not to use these names at all. The three names are the "Galaxy Sire" (Serial Number: 85585397), the "Galaxy Perx" (Serial Number:85585381), and the "Galaxy Lift" (Serial Number: 85585386). Each of the three filings were made on March 30th and on each application it is stated that the name is for "Mobile telephones, smartphones'. 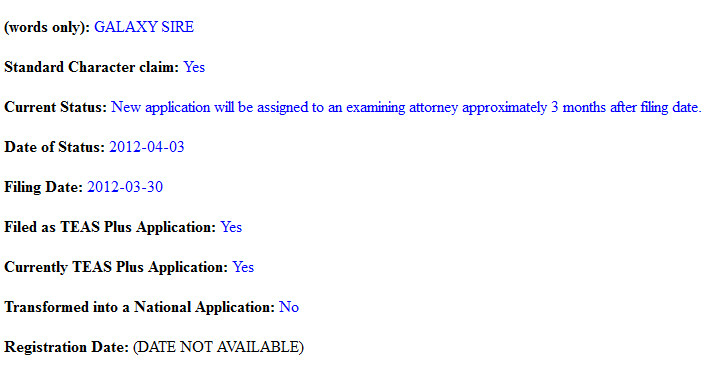 "First Use Date" and "First Use in Commerce Date" both say "Date not available". So let's say the Korean based manufacturer decides to use these names. What do you think the features would be for the Samsung Galaxy Lift, the Samsung Galaxy Sire and the Samsung Galaxy Perx? only 3 names? vzw better get it this time!! !